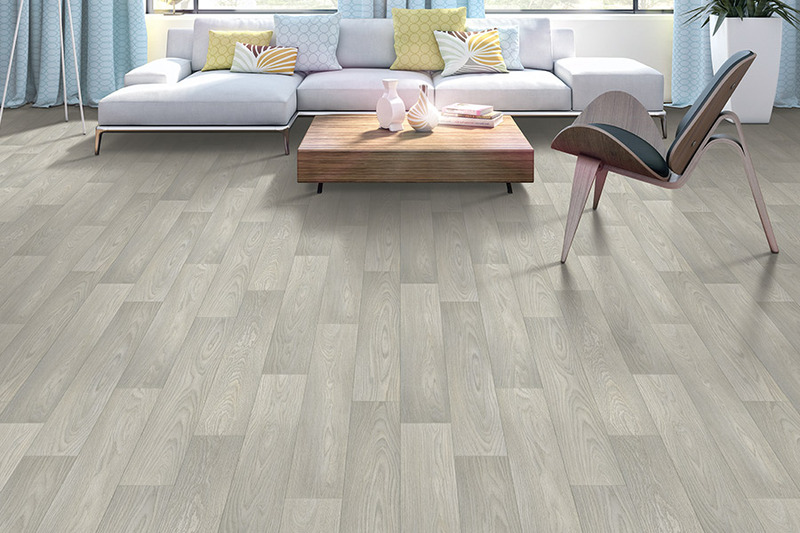 There are few floor coverings as versatile as luxury vinyl flooring. 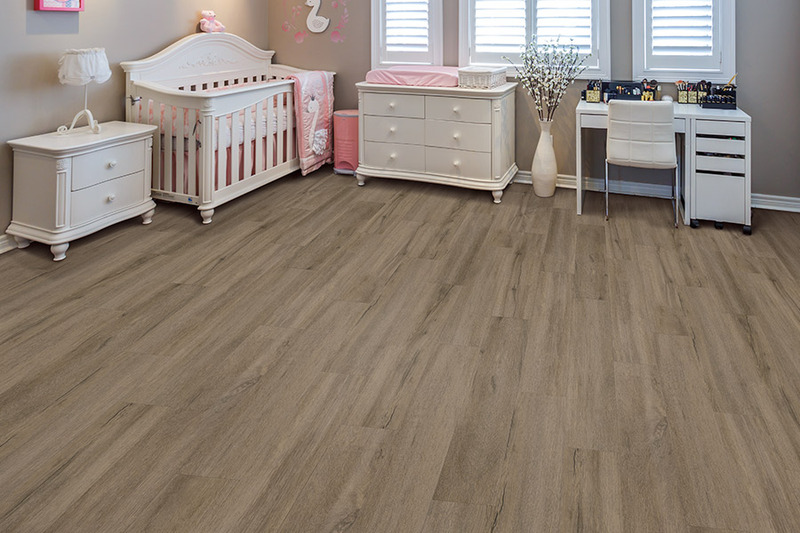 Available in planks, tiles, and sheet vinyl, it offers a wide variety of benefits, including gorgeous styles and designs. Used in some of the most high-end residences and commercial settings, it is durable, long lasting and easy to match to existing trends in decor and interior design. At Jamie’s Carpet Shop, we can put more than 30 years of flooring expertise to work for you. We’ll get to know you and what you’re looking for in a floor covering and then treat your floors as if they were our own. Stop by our Amherst, Ohio showroom at your convenience to find out how we can assist with your new flooring. We proudly service the areas of Amherst, Vermilion, Oberlin, Wellington, and Lorain, and look forward to the opportunity to serve you too. Many homeowners love the look of all natural hardwood flooring, but aren’t able to commit to the real thing. In situations like that, luxury vinyl flooring can be an excellent alternative. 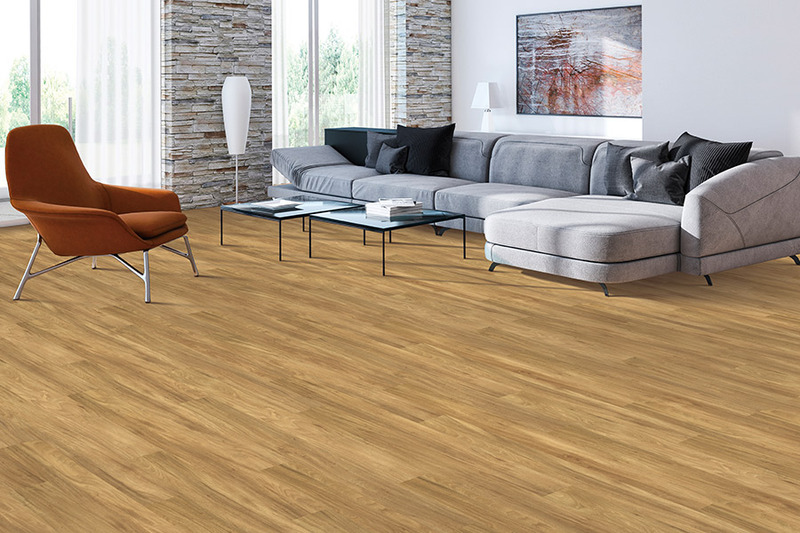 It mimics the look of real hardwood so well that you’ll hardly be able to tell the two apart. 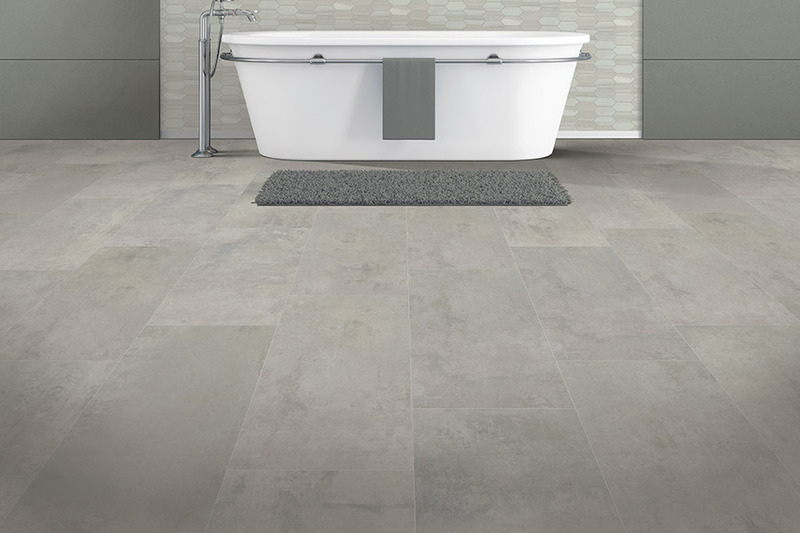 It can also mimic the look of marble, slate, granite and other stone flooring, as well porcelain tile. Durability is an important factor for every homeowner, and luxury vinyl stands up to the test with ease. Its construction features a backing material to which a design layer is attached. The 3D printing process is responsible for both the realistic look and feel of the all-natural materials. Finally, a protective wear layer is attached, usually made of urethane, that helps to resist scratching, scuffing, and other signs of everyday wear and tear. This floor covering is just as at home in the bedroom or study as it is in the bathroom or kitchen, and any other room where new floors are needed. 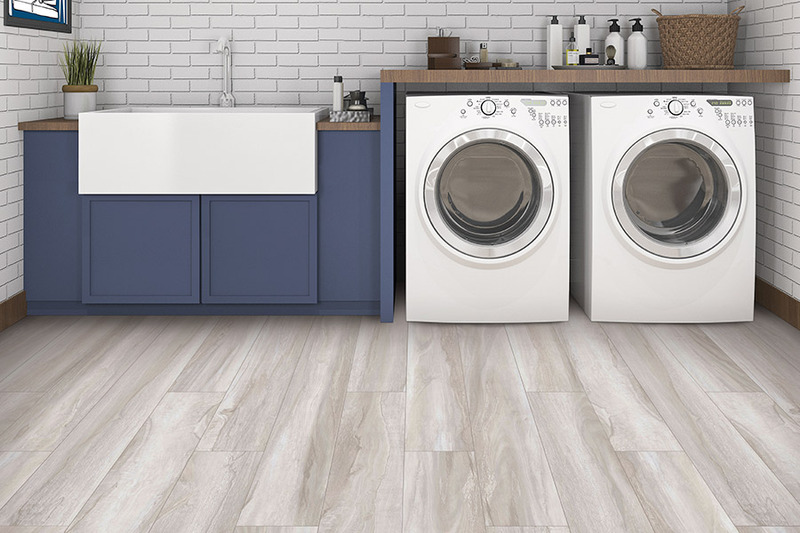 With the 100% waterproof option, you can even install it in laundry rooms and basements and never have to worry about dampness, humidity, or any type of water emergency that could arise. With a truly waterproof vinyl core, it can withstand flood conditions only to be reinstalled once it has completely dried. You’ll find that luxury vinyl is easy to install and just as easy to clean and maintain. With a mop and broom, you’ll be able to keep these floors looking like new for years to come. When it comes to vinyl flooring, no one has a better selection than Jamies Carpet Shop. We carry literally thousands of patterns, and you are sure to find the perfect style and pattern for your home. 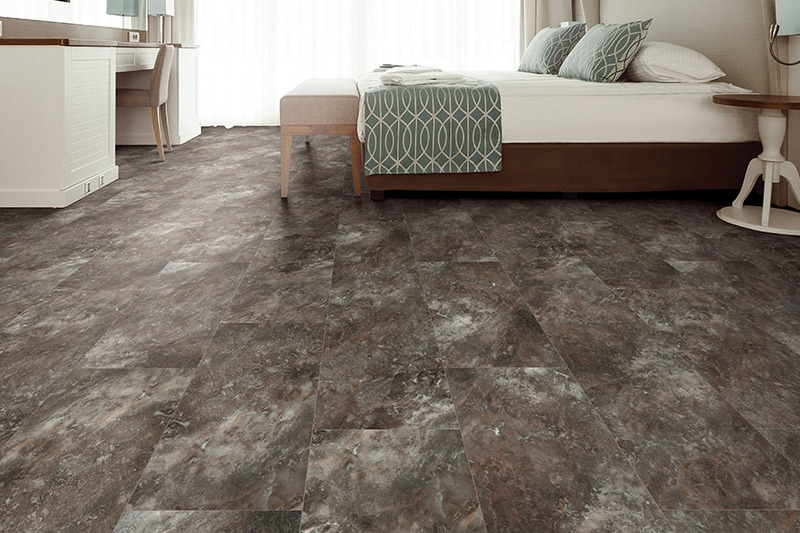 Vinyl flooring is not the linoleum of old and it has made incredible advances making it more durable than ever before. We even carry Teflon protected Stainmaster Vinyl, a recent innovation that adds an entirely new dimension to this type of flooring. 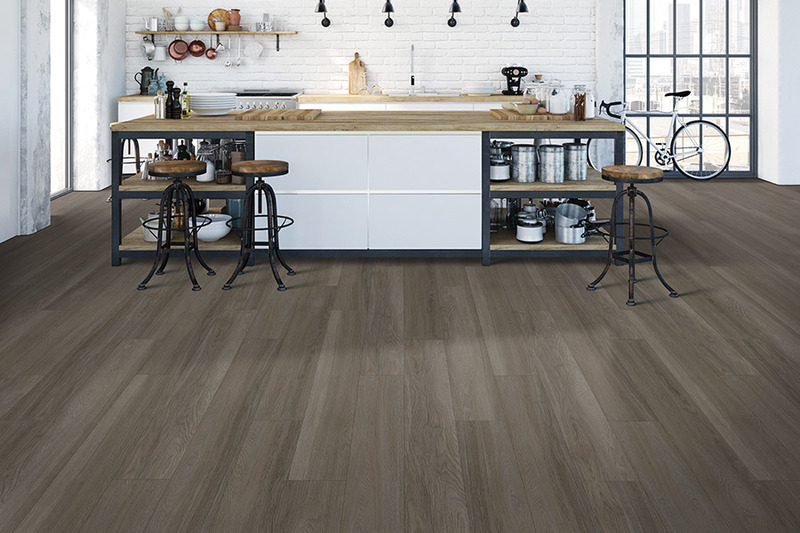 With the introduction of laminate flooring, the manufacturers of vinyl were forced to make it better, longer lasting, and more resistant to scuffs, tears and stains. Today’s vinyl is higher quality than ever before, and Jamies Carpet Shop has the latest fashions just waiting to entirely change the look and feel of your living space.